Bal Harbour real estate is one of the most sought after and exclusive locations in Miami Beach. There are few locales as exclusive and beautiful as Bal Harbour, Florida. Home to some of the best shopping and dining options in the world, this small town has become a booming destination for those who demand luxury in every aspect of their lives. The city is home to some of the best condos and vacation homes, but most of all, Bal Harbour Condos offer some of the most elite oceanfront residences on a very exclusive slice of real estate in South Florida. Here you will enjoy the opulent lifestyle you demand, with all the amenities that you expect from a world-class destination. Bal Harbour is home to numerous condos and magnificent living options. Expect nothing but the best of this incredible city which is also home to shops housing the world's top designers. 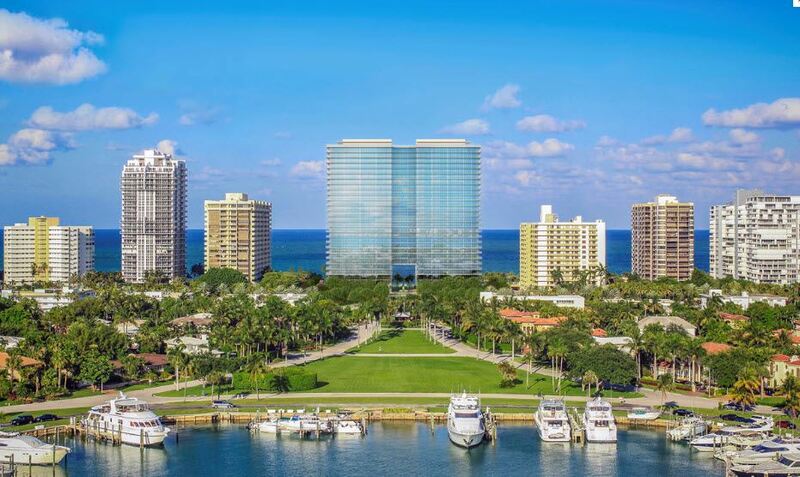 Bal Harbour Condos include One Bal Harbour along with its neighbor, One Bal Harbour Resort and Spa, the Bellini Condo, Majestic Tower,the exclusive St.Regis Bal Harbour Residences and condo-hotel and the latest ultra luxury condo, Oceana Bal Harbour. All of these new, elite, oceanfront condominiums offer carefree resort style living for their privileged owners and guests. In addition, you will find these luxury residences and condos offering state-of- the-art health spas and fitness centers, heated oceanfront pools, saunas, tennis courts, wide open spaces, custom European finishes, and some of the wealthiest addresses in south Florida. Having the dazzling turquoise waters of the Atlantic Ocean always at your doorstep is just one of the gems offered from the many Bal Harbour condos for sale and rent. In addition, the city is also home to the very best of gourmet dining, as well as many other luxury options that will add dimension and enjoyment to any lifestyle. An excellent destination for those seeking luxury shopping, dining and of course oceanfront living, Bal Harbour offers perfection in a tropical environment along the beautiful beaches of South Florida’s Gold Coast. Within walking distance fom every oceanfront condominium in the city you will find The Bal Harbour Shops, the world's most complete collection of high-end exclusive designer shopping in the country. In addition, both Miami Beach and South Beach are only minutes away, as is Aventura, Hallandale, Hollywood, and Fort Lauderdale. Whether you choose a condo or Bal Harbour Home, making a residence in Bal Harbour is the best way to ensure you have access to the very best that life has to offer. Known quite simply as the Village of Bal Harbour, this small town is home to only 3,000 residents. Long favored as the hideaway of the rich and famous, Bal Harbour Village covers approximately one third of a square mile and is one of the smallest municipalities in Miami-Dade County. Bal Harbour condos are among the most exclusive South Florida oceanfront residences and resorts offering both fine dining and plenty of high end world class shopping options. With Bay Harbour Islands Homes to the West and small city of Surfside to South, the location of this premier area is unsurpassed and remains as one of Miami’s finest. Yet, even with its sophisticated reputation, Bal Harbour still manages to retain its small town charm. Bal Harbour is one of the safest and most affluent condo communities in South Florida, attracting wealthy and influential residents from around the world. With it’ picture perfect location at the northern tip of Miami Beach, FL, Bal Harbour condos and homes are some of the most sought after real estate in the country. Walking / jogging paths which wind through lush dunes along the length of the beach, are perfect for taking leisurely strolls while enjoying the warm ocean breezes. If you prefer a single-family home over a condo, Bal Harbour Real Estate is an excellent option. Bal Harbour Waterfront Homes are available along Biscayne Bay and the Intracoastal Waterway as are beautiful dry lots. A privately operated Yacht Basin is located within its single-family home communities. Bal Harbour Village has its own police department which offers excellent protection and service to both residents and visitors, and enjoys one of the lowest crime rates in the South Florida area. Many of the lucky Bal Harbour residents compare living in Bal Harbour to being on vacation every single day; a thriving playground of its own but also close to countless other exciting things to do. Many tourists who visit Bal Harbour fall in love with its charm and decide to stay. If you’re looking for the destination location for your new home, you’ve found it at Bal Harbour! Steve Samuels is known as one of the premier Bal Harbour Real Estate & Bal Harbour Condo Brokers in the South Florida market. His negotiation skills, market knowledge and no-nonsense, results-driven approach has made him one of the most sought after luxury condominium, Oceanfront, Beachfront Condos, Oceanfront Villas, and single family waterfront realtors from Hallandale, Sunny Isles Beach, Miami, to Palm Beach County. View MLS Listings for Hallandale, Downtown Miami, South Beach, Sunny Isles, Miami Beach Condos for Sale in South Florida and Miami Beach. CondosandCondos.com is one of the Leading Sunny Isles Baech Real Estate websites where you can find Waterfront, Bayfront, Beachfront Condo Sales, Oceanfront Condos Sales & Rent . Search for Oceanfront Condos Luxury Condos in Miami, Miami Beach, South Beach, Sunny Isles, Hallandale, Key Biscayne, Bal Harbour, Fisher Island, Coral Gables, Ocean Drive and all of South Florida.